Two round tables and a business-to-business component integrates the 9th edition of INVESTOUR that took place in the framework of FITUR, the Tourism Fair in Madrid. The first session, moderated by Thebe Ikalafeng, Chairman at Brand Africa, addressed branding strategies to position the African continent in the travel market. In the afternoon, tourism stakeholders gathered to discuss business opportunities in the continent. 15 inspiring projects were shared with the aim to build partnerships around tourism development in African nations. Speaking to the press at that Investour 2018, Elsia Grandcourt, Head of the Africa Commission at the UNWTO said:- “One of the greatest challenges we face, together, is how the world views Africa. We are all aware of the negative stereotypes and perceptions that our continent sadly is much too often referred to”. Elsia Grandcourt went on to say that there are many forces of influence that work against Africa and together we often blame the media for reinforcing a negative narrative. “The fact remains, however, that we must work towards redefining and shifting the narrative. We must tell our story, as individual African nations, and as one Africa. This is one of the priorities for the Commission for Africa”. 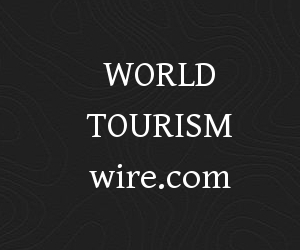 Elsia Grandcourt, the Head of the Africa Commission at the UNWTO said.